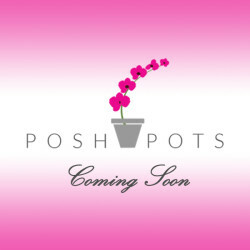 Posh Pots was started in 2005 with the idea of providing a service to people who enjoy their homes and gardens filled with interesting and colourful planted pots all year long. 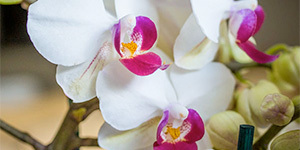 We can provide you with a wide range of different indoor plants and pot arrangements, and if you live around the M25, we also offer a unique service, where we will come and visit you to discuss your needs in person; whether big or small. 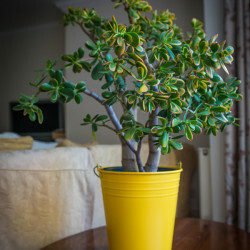 And once we have planted for you, we will return to check on them, if you have any concerns, or re-pot them if necessary. Our plants arrive fresh from Holland every week and we also visit the flower auction there every year, to see what is new and interesting. 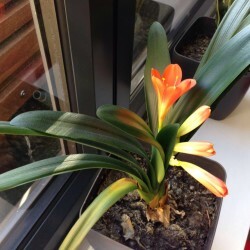 It goes without saying that our indoor planted arrangements also make ideal gifs for many occasions including weddings, engagements, bar mitzvah’s and much, much more. 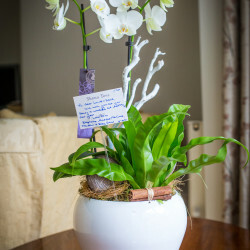 We also pride ourselves in providing a friendly and personal service with attention to detail. Our plant pots are unique and stylish in both contemporary and traditional styles to suit all tastes. Because we offer bespoke solutions, the pictures on this website are just examples of what we can do. For more information, please don’t hesitate to contact us on: 07931 565 335 or email us via the contact form.